Q. Is this a studio built in some guy’s garage or something? A. Most definitely not. Although it was constructed in a residential neighborhood, our stand-alone structure was designed and built from the foundation to the roof to serve as recording studio. 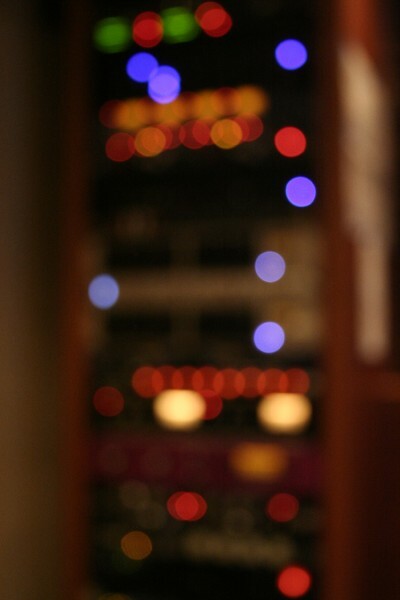 Acoustic experts with experience building studios for industry professionals designed the entire structure, inside and out, including the unique interiors of the tracking and control room. Q. Does the studio operate 24/7? A. Yes but it’s really only busy 2-3 days a week. We don’t book everyone who happens to call. When you call to ask about a potential project, we’re also interviewing you. Because it’s a residential neighborhood we limit our booking to clients that will be sensitive to the natural concern of neighbors over parking and folks congregating out on the sidewalk. Q. Will my 5-piece band be able to record at The Sound Palace? A. The short answer is yes. But understand that we are not like Capitol Records or Abbey Road Studios. (But we also don’t charge $3k per day.) We have one tracking room and one control room. By and large we try to avoid putting guitar amplifiers in the same room as the drums when we are trying to record the drums. Typically the whole band will come in and play while the drums are being tracked, but the guitar sounds are routed just to headphones so there is no bleed into the drum microphones. 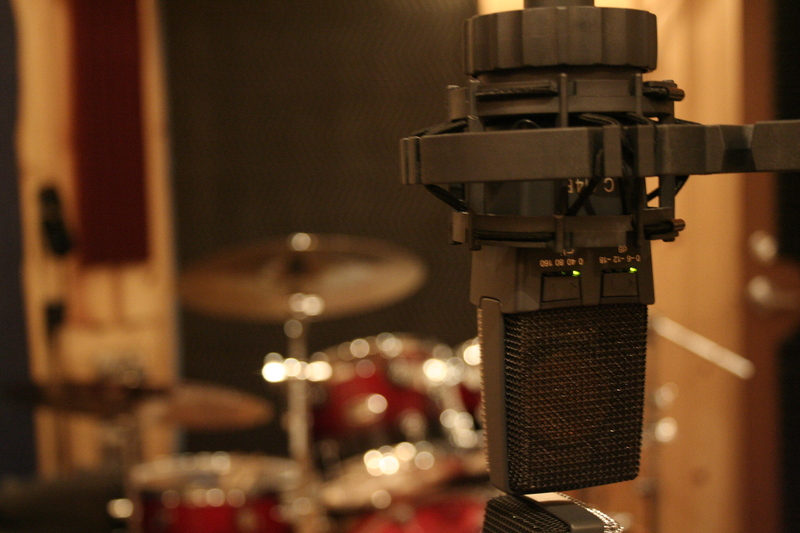 Once the drums are recorded, we’ll typically record the other instruments and the vocals. Q. 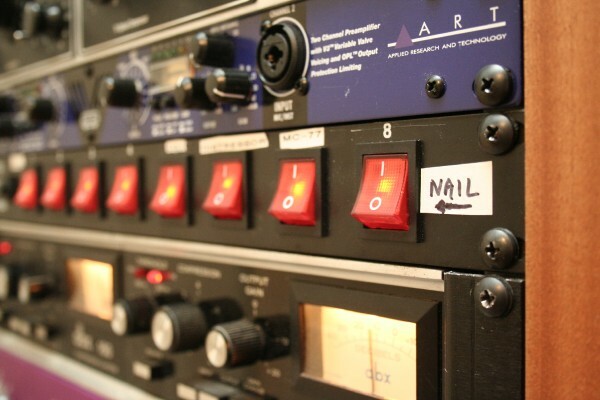 What kind of recording equipment is used at The Sound Palace? 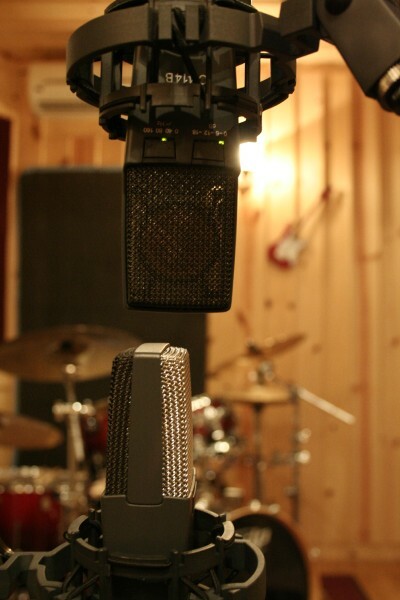 48 sound source inputs are distributed throughout the tracking room and control room and receive signals from microphones built by Neumann, AKG, Sennheiser, Royer Labs, Audio-Technica, ElectroVoice and Shure. 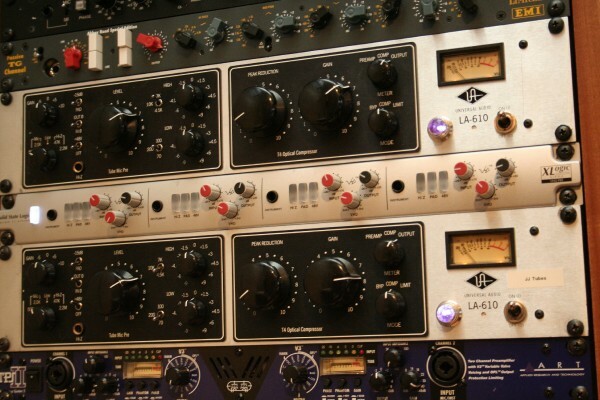 These feed microphone preamps from SSL, Massenburg, Universal Audio, Vintech, Focusrite and Chandler/EMI’s “Abbey Road” edition channel strip. (See, there is some of Abbey Road at The Sound Palace.) From there the signals flow into dual 192kHz converters under the watchful eye of the Big Ben master clock from Apogee for editing and mixing in Pro Tools HD9, with the use of Waves Platinum TDM plug-ins and an array of outboard processors from Empiral Labs, A-Designs, Purple Audio and a pair of vintage DBX 160VU’s. Q. Can you tell me more about how you can help launch my musical career? A. Sure. The whole world knows that the business of music today bears little resemblance to the industry 10 and 20 years ago. 50 years ago a single hit record was the key. Later full albums were what the music consumers wanted. Then “concept albums” and videos on MTV. Today, it’s a single song again, and just on i-Tunes. The physical CD is going the way of the 8-track cassette. And if you want that song to get noticed, it had better grab the listener’s attention in the first 10 seconds or it’s over. So if you are a singer/songwriter, or a new band with a unique sound and have written some great songs with good “hooks”, we may be interested in taking you on as a new artist under our production. In collaboration with writers and producers closer to Los Angeles, we will invest the time required to develop your existing song ideas into marketable songs and we can arrange to have those songs fully produced and heard by some of our contacts at the major labels and even some media conglomerates. We do not charge you for these services but instead look to the future potential for royalties and publishing revenue if we succeed in our efforts. A. Good question. But it’s really more than one. 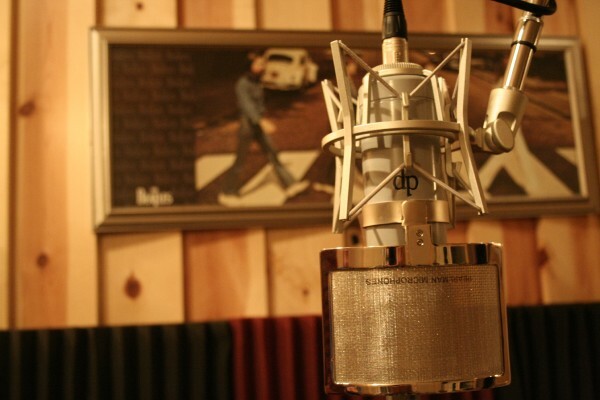 Because like most studios, we offer hourly, full & partial day rates, and weekly rates. But what you’re really asking is: how much will it cost for you to record songs and come away with something that sounds professionally produced? That question is much more difficult to answer precisely. Some folks come in just to do a voiceover recording. Recording speech might be the simplest thing we do and an hourly rate works best for them. 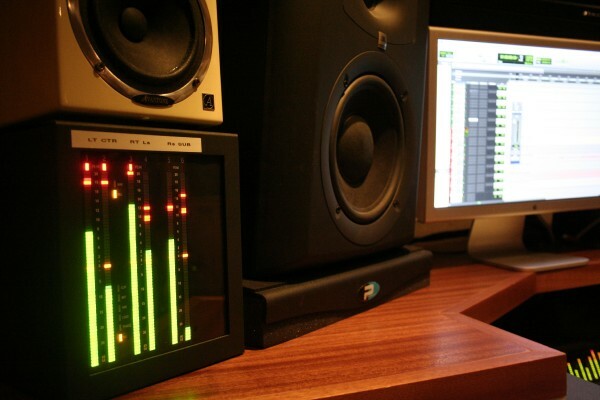 (Our current hourly rate for the use of the studio and the services of one recording engineer is $65.00.) But for music to sound “professionally produced”, much more work is done after the actual recording process is completed. Sometimes entire days are devoted to just editing and mixing a single song. 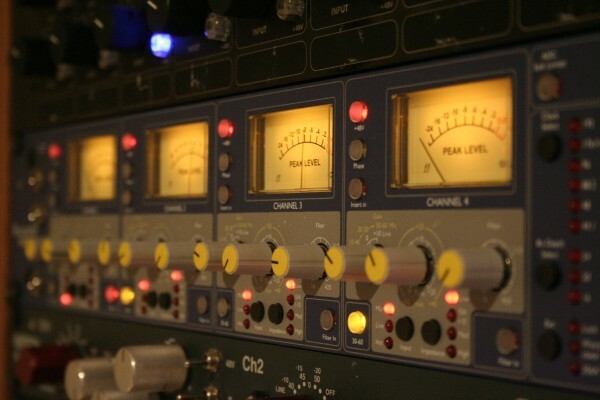 The same rate structure applies whether we are tracking, editing or mixing. Daily rates carry a discount when compared to the hourly rate. 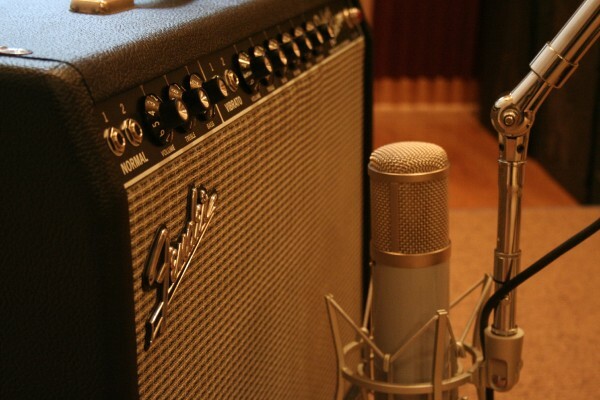 Maybe you are just interested in a “quick-and-dirty” recording to share just with friends and family. Those projects involve much less time for polishing. So the best way to approach any project is to pre-determine your budget and let us figure out what we get accomplished for you within that budget. Send an inquiry using the “Contact” tab above. Or send a separate email to: info@TheSoundPalace.com. Or pick up the phone and call (805)499-1311. The first two options might get a faster response. We tend not to answer the phone during sessions to keep attention focused on the client’s session and sometimes we don’t check the messages until after midnight.